We have an information subforum where you can view things like our public projects page and other announcements that are in effect (such as halted lore). This will be the go to place for finding ST information. 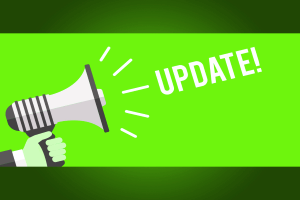 TA Changes – TAs are now open, but please take a look at these changes before submitting them. This information can also be found in our information subforum, but I will be reiterating it here. /sreq is the method to make an in-game req for the team. Alternatively, you can contact us over the forums (list of staff found here: Click me). Contact a manager first before contacting me as I am rather busy and my PMs are typically flooded. Events are starting up again and we will be reaching out to the nation leaders to re-establish the old system of having some actors assigned to watching over places. The team will be having a more stringent policy when it comes to events that hand out rewards like candy, so try and refrain from constantly requesting things like wyvern events. You can use this thread (also found in the information subforum) to make requests for the wiki now. We have updated our lore rules, which can be found here. A handful of new things have been added with some of the more outdated things removed. Please give it a read as I will expect everyone to be aware of them when dealing with rulebreakers in the future. Link to the thread: Click me. The biggest change that comes with this is that we will no longer tolerate people using lore that is not written down and approved on the forums, whether it be in lore or an ST approved guide. If you are going off of documents that have spells that are not on the forums, they are not valid and we will start cracking down on that. We have made forum forms where you can fill out creature/plant index submissions. You can read more about that in the Lore Submission Guide linked at the top. It also contains links to the forms. It wouldn’t be a Flam announcement without something being shelved, and today we will be shelving Mental Magic and TEMPORARILY Runesmithing. Mental Magic: This lore has a lot of potential, but it gets shot in the foot by the amount of people using it for lazy investigative RP. For example, a villain gets captured and questioned, then a mental mage is brought over and it’s game over for the villain. There’s no real effort there to figure out what happened and it’s not the type of thing we want to see on the server. The rest of the magic was rather nifty so we will be looking to bring that back. Runesmithing: Runesmithing lore has been lacking things for years and going into the new map we want that addressed. The current rewrite does not contain enough information to patch what is missing, so until it does the magic will be shelved. We will also be reformatting it to the new lore standards to ensure that everything is laid out cleanly. A few writers will be assigned to this, so it should only take a few weeks before Runesmithing is back. Until then, use of runesmithing and/or runesmithed items will be prohibited. If you had a runesmithing MA, you will keep it. Ghosts are now on hold and we will no longer be accepting ghost applications. If you had any up we will be moving them to purgatory pending until ghost/graven lore has been addressed. The following pieces have a week to submit a fix to me or ST Management otherwise further action will be taken. The problems we want to sort out here are rather easy to balance, so it shouldn’t take long. Bloodsteel: There needs to be actual downsides to adding durability to the item. Extra points if you fix the Raguk only issue, though we’ll get to that ourselves later if that isn’t added. BM Air Runes: There needs to be a downsides to making things light. The current downside is a mild inconvenience and not mandatory if you’re playing to win. Telekinesis Enchants: There needs to be a downside for making things lighter that isn’t just a recharge rate. My suggestion would be to make the items more brittle if you are making them lighter, so they shatter easily. If you’re increasing durability, you could make the wielder move considerably slower (dependent on how enhanced the item is becoming). The reasoning for these nerfs is because we have seen them start to be used more in combat and it has been clear that making iron armor weigh like nothing while having no downsides or having bloodsteel simply be nearly on par with carbarum with no downsides is overpowered.